I promised that I would provide the slides and script of my keynote presentation from the NACAC Conference. Please also note that these are for your personal use only. If you want to quote from my presentation please contact me; also please cite – citing and proper attribution is a crucial social justice action. I’ve included recommended citations for you below. Finally, for more of my community presentations, you can find more of my writing and presentation slides/scripts at https://harlows-monkey.com/my-publications. I’ve started to upload some of my older presentation slides and scripts, as well as some articles I have written for publications that no longer exist. You can find them via the tabs menu or click here. Please cite and link me if you plan to use this information in a presentation or paper or blog post; I have provided a suggested citation (APA format). I wanted to provide some links to some of my journal articles that were recently published. The first is available online from Adoption Quarterly and was written by Dr. Bibiana Koh, Dr. Ruth McRoy and myself. The article is titled: Exploring Adoption-Specific Curricula in Undergraduate and Graduate Degree Programs. Abstract: The systemic impact of adoption suggests the need to explore adoption-specific curricula in baccalaureate and graduate degree programs. Using a convenience sample, the present exploratory study collected data in two phases. Phase one included email requests for adoption syllabi to professional listservs and to identified faculty with adoption research and practice expertise. In phase two, 22 faculty who responded by emailing syllabi, were invited to participate in an online survey. Results only begin to unveil what we know about adoption-specific curricula in higher education. Suggestions for future research are discussed. The second article was published in the journal Families in Society. This article summarizes my study of adoptive parents who placed in intercountry adopted child in out-of-home care due to the child’s disability. You can see the article here. Abstract: Increasingly, intercountry adopted children have special needs similar to children adopted from foster care in the United States. Out-of-home placement may be necessary when less restrictive services have not adequately addressed an adopted child’s needs. The experiences of 19 adoptive parents who chose to place their intercountry adopted child in out-of-home care due to their child’s disability were explored through qualitative interviews and family ecomaps. Themes emerging from interviews relate to adoptive parent definitions of adoption and disability, challenges identifying and accessing services, and the effects of placement on their family, within an ecological systems perspective. Findings show the need for service providers to better understand the impact of an intercountry adopted child’s disability and preadoption history on family adjustment, as well as to support parents through the out-of-home placement process. This past week I spoke to a producer at AJ+ about a series they are hosting called #ImAdopted. I thought the producer had done a lot of thoughtful research and understood the complexity of adoption and recognized the need for adoptee voices to be centered. I’m encouraging adoptees of all types – domestic, foster care, intercountry – to add your story. To contribute, you can go to this link and complete a form. Not all of the questions are required, and although it asks for a name and contact information (i.e. email address) you can use a pseudonym if you’d prefer to be anonymous. I’m looking forward to the series. Please pass this on to your communities! AJ+ is already garnering lots of comments on their Facebook post – however, they are hoping that people will fill out the form. …for naming Harlow’s Monkey one of the best blogs of 2017! It’s also an honor to be named alongside some of my favorite adoptee peeps! I appreciate that Healthline recognizes the importance of adoptee voices. 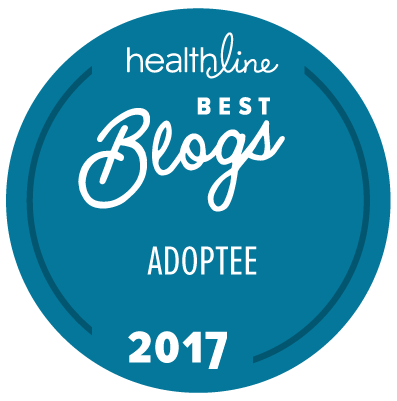 Check out the Healthline list of The Best Adoptee Blogs 2017. I am starting a new research study that looks at the experiences of intercountry adoptees (18 years or older) in the U.S. that have had an adoption disruption or displacement (the term used to describe an out-of-home placement that happened after an adoption was finalized). I have more information here at my research page. You can also contact me at kimjr@uw.edu for any questions or for more information. This study has been approved by the University of Washington’s Human Subjects Review board (IRB). Please feel free to pass on this information to your adoption communities and thank you for your assistance and support! It’s been a while, but as National Adoption Month comes to a close today, I wanted to pass on a couple of items that you might be interested in. The Indiana Adoption Network is hosting a conference this coming April, so save the dates! You can learn more about the organization through their newsletter, and the website. The conference, to be held April 21-22 2017 in Bloomington, Indiana, has the theme, “Building Bridges.” For more information about the conference and to register, click here. Another conference to keep in mind is the California Adoption Conference hosted by Pact, An Adoption Alliance. This conference will be held March 24-25 2017 in Oakland, CA, includes a Professional Training Day (March 24th) and an all-audience day (March 25th). For more information about the conference and to register (opens January, 2017), click here. 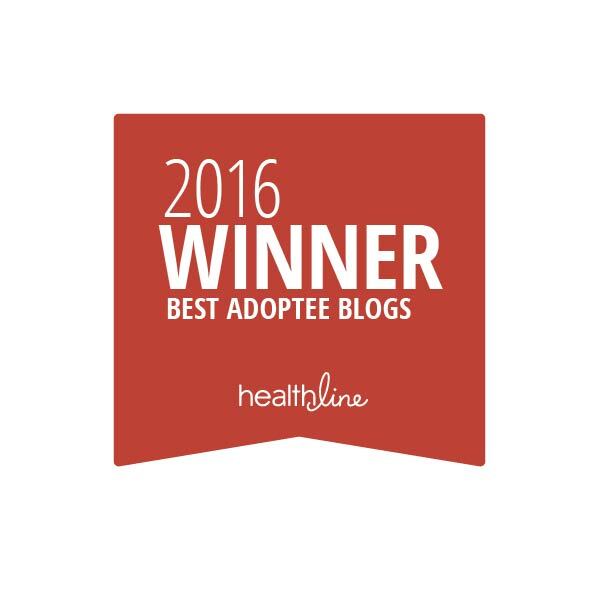 Finally, I want to thank Healthline for naming Harlow’s Monkey one of the best adoptee blogs of 2016! I am very honored and appreciate the recognition – especially since I am in some great company! Please visit Healthline and see their full list of top adoptee blogs. I’m looking forward to being at the Korean Adoptee Adoptive Family Network (KAAN) conference coming up this weekend in Pittsburgh. KAAN was founded in 1999, and serves Korean-born adoptees of all ages,their families through birth, adoption or marriage, other Koreans and Korean-Americans, social workers, adoptees from other backgrounds, community leaders, and more. Each year the conference is located in a different place so that local Korean adoptee-affiliated community members can participate. Luncheon and Midday Keynote: Legacies of Korean Adoption on Global Child Welfare with Oh Myo Kim PhD. 1) What cultural, social, and economic factors allowed for the movement of children across national borders? 2) What has been the impact of international adoption on local sending communities? 3) Lastly, what support can Korean adoptees offer as members of a larger international adoptee community? Beginning the search for your birth family is a big step. How can you tell if you are ready for the range of emotions and answers you might find? Join in this frank conversation with other adoptees. Leaders will share some of their experiences and give advice on how to prepare. Many mainstream conceptions and narratives of race focus on white peopleâs feelings and experiences. Intended for more intermediate and advanced audiences, this session aims to challenge these narratives by recentering our conversations around people of color, the people most negatively and directly affected by race-relations in the United States. Comprised of adoptees from different professional angles, we will discuss behavioral, educational, and media techniques that can be used to “retrain” ourselves to not allow the conversation to derail back to a white audience. Some ways you can help the victims of the Pulse shooting and their families.